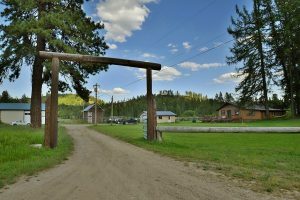 2817 Baker Lake Rd.- This is your chance to own a 56 acre ranch with two separate and unique homes. 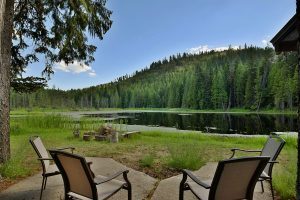 Enjoy your own private cabin on your own private 8 acre lake! The cabin features a cozy fireplace, bunk house, trappers cabin, built-in BBQ on the patio, hot tub and so much more! The main home features a large deck to enjoy the territorial views, a 1/2 acre fenced garden area, a 40′ x 60′ shop, another large shop and a barn! 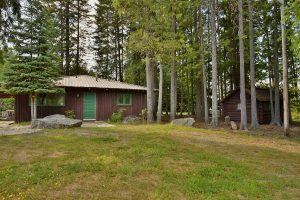 Only minutes from your own lake this property borders 7000+ acres of Stimson Lumber Land. This home is located in Newport, part of the Newport School District. 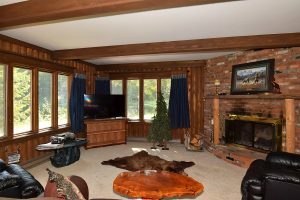 Home was built in 1957 with over 2700 square feet. Many outbuildings on this estate including a cabin! Private recreation all year long! For more information on this listing or to set up a private showing, please contact us. Click here to see more homes in this area. © 2019 of Spokane Association of REALTORS­® MLS. All rights reserved. Listing information courtesy of Spokane Association of REALTORS­® MLS. IDX data is provided exclusively for consumers' personal, non-commercial use, and may not be used for any purpose other than to identify prospective properties consumers may be interested in purchasing. Data is deemed reliable but is not guaranteed accurate by the SARMLS. Data last updated 2019-04-22T07:20:37.113.